The wet grassland either side of the path you’re walking on is important for wintering wetland birds, such as widgeon, and is the reason that the site is a designated SSSI. The birds that live here like to have a clear view of their surroundings and so large amounts of willow have been removed to create a more open landscape, with direct access between the lakes and meadows. 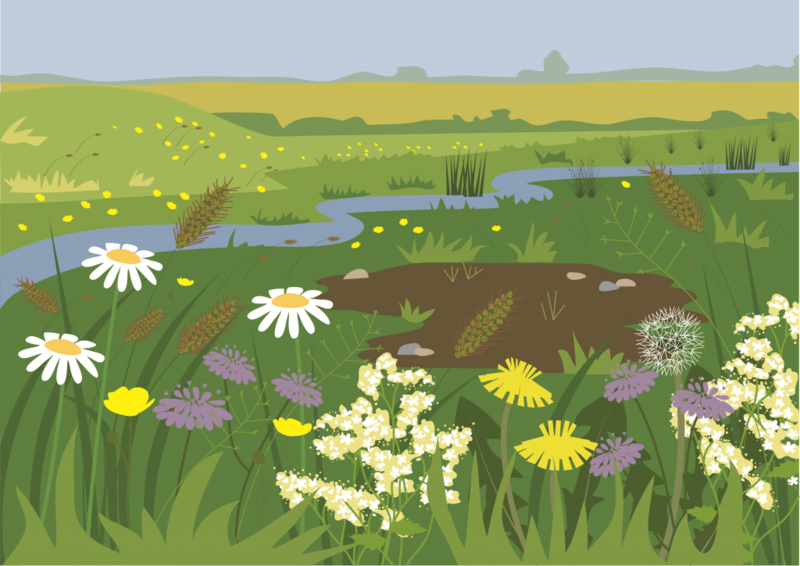 Ditches and shallow pools known as scrapes have been created to improve water flow on and off of the grassland, thus improving conditions for invertebrates, amphibians, waders and waterfowl. In order to maintain species richness, the meadows are either topped or grazed by cattle. This prevents any one species of plant becoming dominant and also creates a better physical structure for invertebrates.